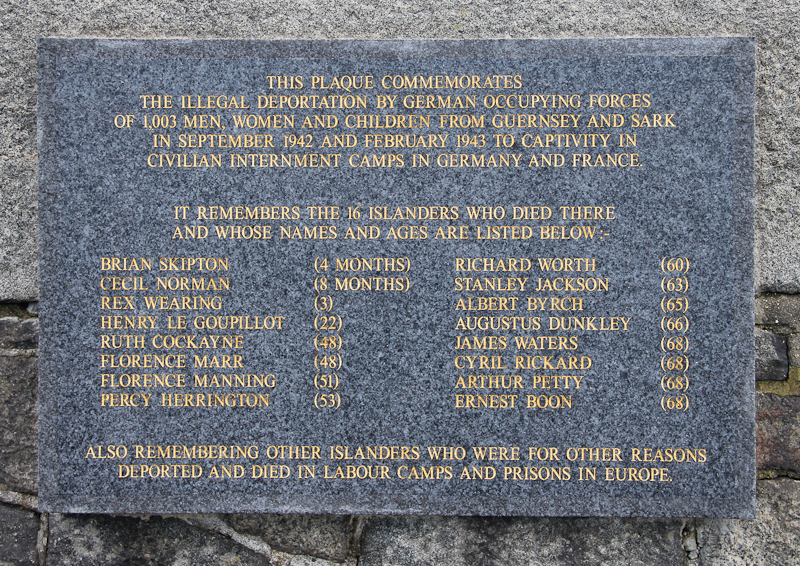 Unveiled on the 23rd April 2010 it remembers over 1000 people who were deported from Guernsey and Sark during the Second World War. Address: White Rock, St Peter Port. Parking: Public car park at North Beach. 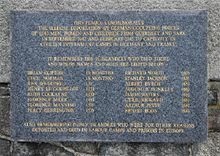 Unveiled on the 8th May 2010 it remembers the evacuation of islanders in June 1940 prior to the invasion by German forces. 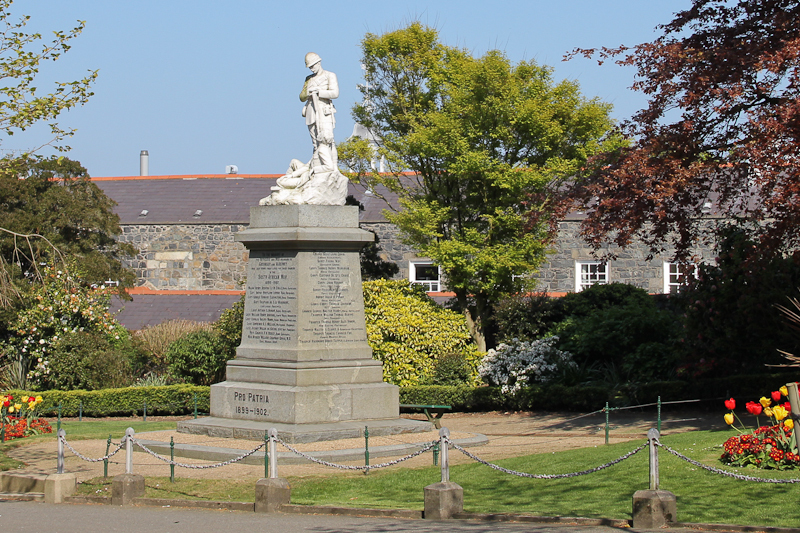 The war memorial was unveiled in 1926 as a tribute to islanders who lost their lives fighting in the First and Second World Wars. Parking: On street parking available in surrounding area. 27th January 2001 was the first Holocaust Memorial Day. 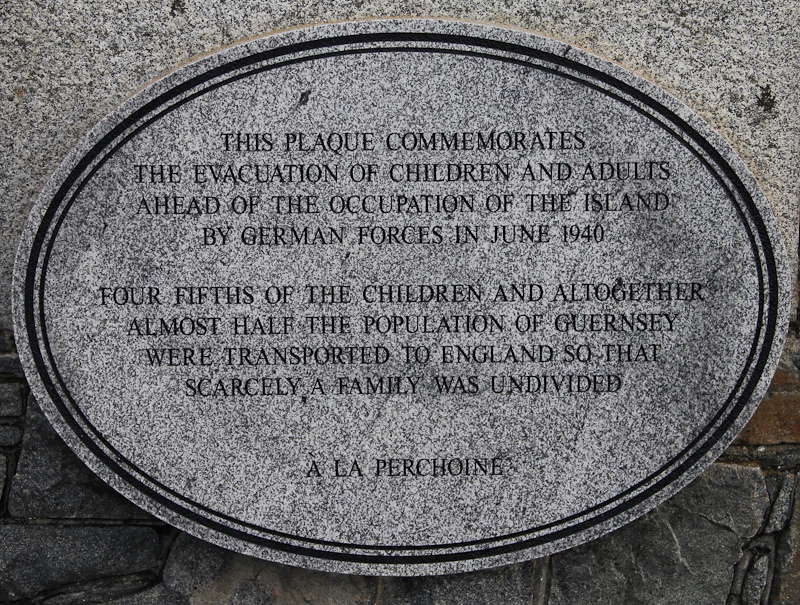 It was marked in Guernsey by the unveiling of this memorial. 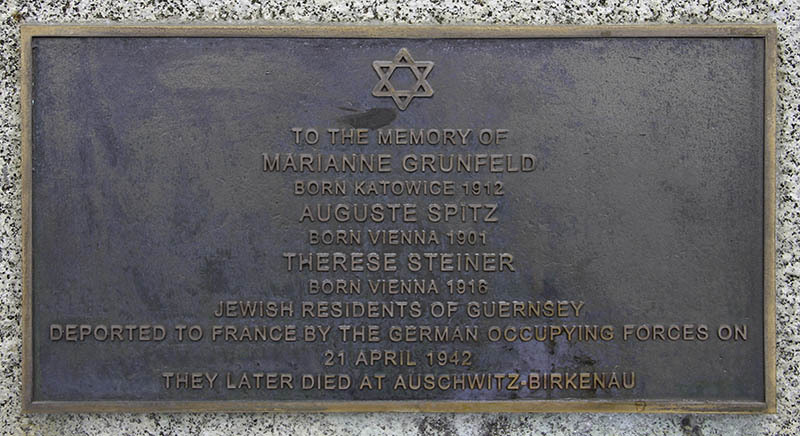 It is dedicated to three Jewish women who were deported from Guernsey to their deaths at Auschwitz-Birkenau in 1942. 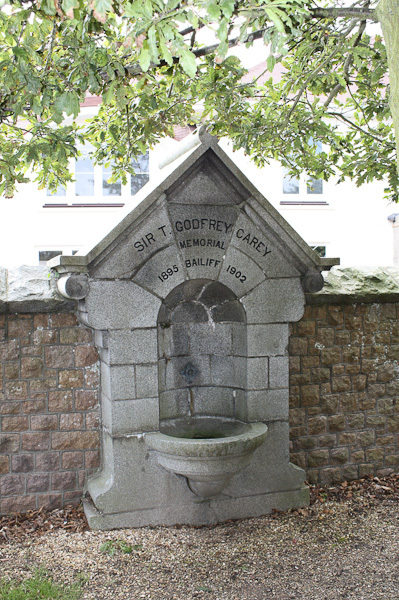 Memorial to Sir T. Godfrey Carey, Bailiff of Guernsey 1895 - 1902. Address: Fort Road, St Peter Port. Parking: On street parking at the top of Le Val des Terres. 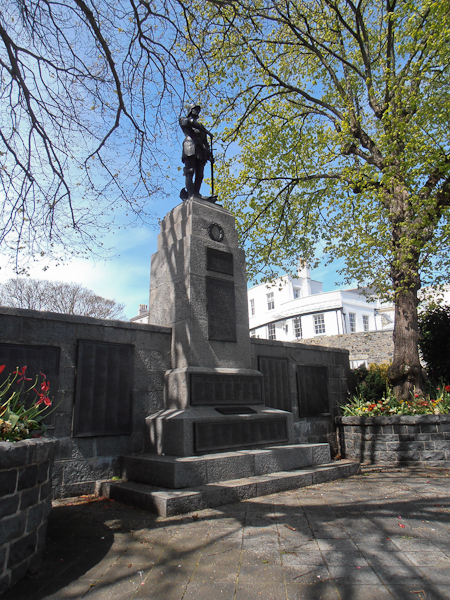 Address: St Julian's Avenue, St Peter Port. Parking: On street parking available on St Julian's Avenue and surrounding area. 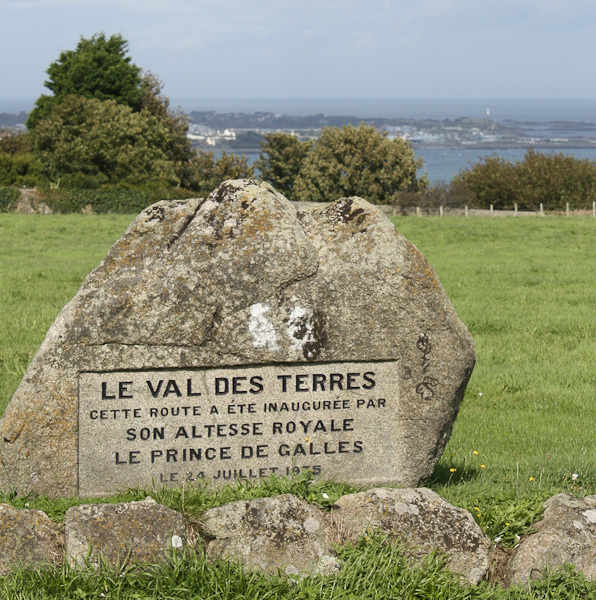 This stone commemorates the opening of the Val des Terres by the Prince of Wales, Prince Edward in July 1935. Address: Le Val des Terres, St Peter Port. Parking: Street parking at the top of Le Val des Terres. There are spectacular views over St Peter Port from the viewing platform. 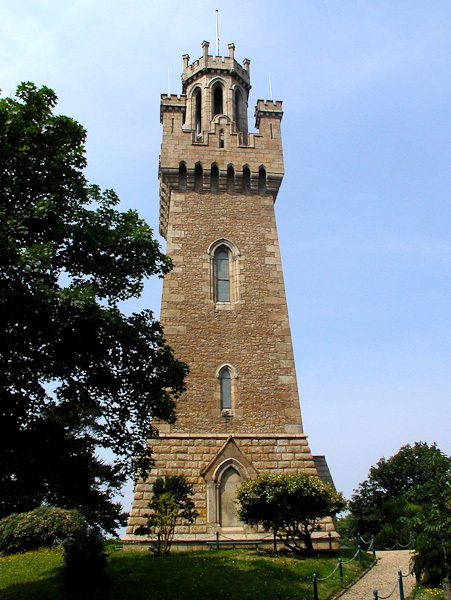 Visitors can collect the key for the tower free of charge, from Guernsey Museum. Address: Monument Road, St Peter Port. Parking: On street parking on Monument Road and surrounding area. Public car park in Upland Road. 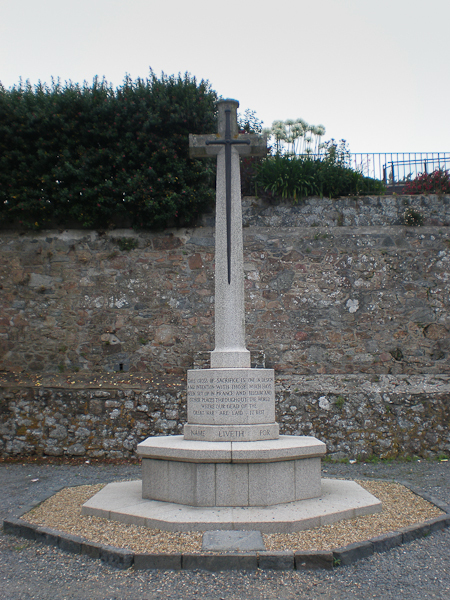 Situated in the German Cemetery at Fort George. Address: Rue Adolphus, St Peter Port. Parking: Limited on street parking nearby.